SANTA CRUZ — The meltdown at a Japanese nuclear power plant after a large earthquake and tsunami rocked the island nation last month drew more than 100 people to a lecture Wednesday by UC Santa Cruz lecturer Daniel Hirsch. Hirsch, a renowned expert on nuclear policy often quoted by major media outlets, spoke at the Stevenson College Event Center on the tragedy at the Fukushima plant and how the U.S. can prevent a similar meltdown at its 104 nuclear reactors, including the two in California. Hirsch emphasized the constant need to keep nuclear fuel cool, and said cooling systems can go awry when the proper back-up safety measures aren’t in place. The lecture included detailed descriptions of how a nuclear reactor works and how fuel is cooled and stored. Pictures and diagrams aided his talk. 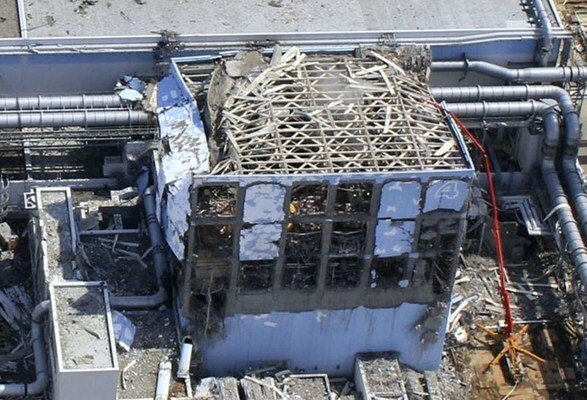 The disaster that destroyed three of Fukushima’s reactors and four spent fuel pools was a result of the March 11 earthquake that knocked out the plant’s electrical power. The plant resorted to its diesel-run generators for power when the electricity went out, however, the tsunami that came on the heels of the earthquake demolished the generators, leaving the plant scrambling for another power source, Hirsch said. Batteries did little to keep the fuel cool, he said. “It’s an accident all of us in the nuclear field have been worried about for decades – losing power to the station and the pumps stop working,” Hirsch said. Hirsch warned that a decades-old study estimated that a meltdown at the Southern California nuclear plant in Onofre could release enough radiation to immediately kill 130,000 people, cause cancer to 300,000 and genetic defects in 600,000 more. As far as radiation released from Fukushima, Hirsch said experts “do not have a good handle on the amount,” though the ocean water nearby has shown elevated levels. Many people in the audience said they were motivated to attend the talk because of what happened in Japan and are worried about what safeguards are being used in the U.S.
“The human error with nuclear power and the threat from that is too extreme,” Tofighian said. He’s not a nuclear expert. He’s a sociology adjunct lecturer and has no idea what he’s talking about vis-a-vis physics and biology. Hirsch does not even have a degree in nuclear energy and claims to be an “expert” on nuclear energy? No wonder nuclear energy is so misunderstood and people do not realize that it is a clean, safe and reliable energy source. Is that now a ‘nuclear expert’, or what?